We can’t help ourselves – when we see something unattractive in our cities we want it gone – it must be made more beautiful / more contextually sensitive / newer / cleaner. But what happens when we reach perfection? Until recently, in wealthy, global cities, recognition of urban flaws was the domain of a passionate minority – the trained specialists who could see the potential of the city and was acutely aware of flaws that could be overcome if only they could convince those with the influence to work towards making that change. They gradually spread the word and started making cities better. This knowledge of urban flaws and the will to correct them has generally now slipped, in an over-simplified form from the specialist to the mainstream – mayors, policy makers, politicians, planners and the public all have a much better understanding of urban design. It’s now much less likely that a wayward architect will block an important route with an alien monstrosity, or that a treasured historic building will be razed to build a shopping centre. This is all excellent… except for the little problem of completionism. In the city, this is the collective desire to perfect it. Completist urban perfectionism is also most problematic in those cities with money to express it. Cities are dynamic, living organisms, they can’t be completed, but occasionally some seem to get there. I’ve seen a few. They’re quite popular and usually designated by UNESCO as a perfect example of their kind. They are common in Europe but can be found all over the world. They usually have an ‘old town’ which is where the paradox of perfection can be so painfully enjoyed. These towns have beautifully and immaculately cobbled streets, flawless historic buildings free from interference by anything modern or unsightly. They have an immaculate central square ringed by neat umbrellas and are populated by tourists sunning themselves and drinking local beer. 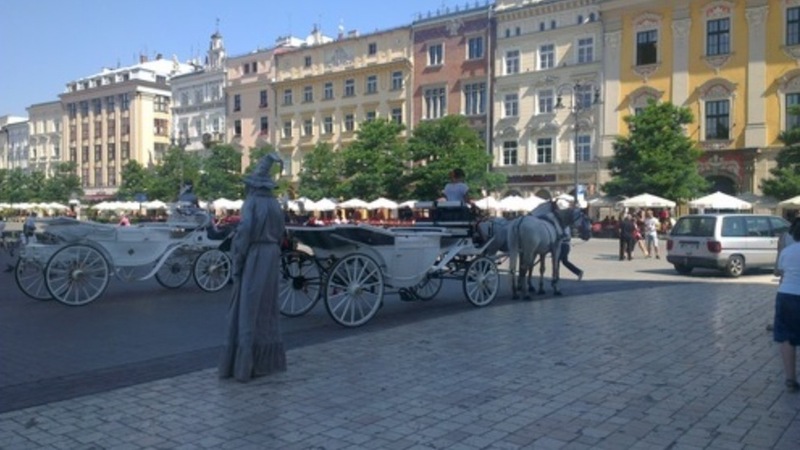 Horse and carts and little golf carts with multi language, pre-recorded guides offer tours of the old streets. A local in costume plays an accordion, someone else stands motionless unless activated by a coin in a basket… the locals stay well clear of the whole thing and the tourist longs for a brutalist concrete carbuncle. This globalised idea of an historic old town has spread like a virus into the minds of local planners. Any sign of imperfection – the dark alley, the concrete experimental building, the old street surface, the shabby old roof tiles – can now be identified by everyone and eradicated. No thinking necessary – it’s a no-brainer. Except everywhere you find them, they’re the same. Places are becoming homogenised and generic, and as a result they are becoming dull, unexciting and sterile. For a start, the city’s old town has never, until recently been an antiseptic, fully restored and polished place. In the past it was constantly changing, untidy, noisy and smelly. It was full of all the danger, vice, excitement, as well as beauty and wonder that a city had to offer. They were always magnets for travellers but offered a lot more than cappuccino, cold lager, a state funded art galley, and branches of upmarket fashion brands. In becoming museum cities, these places are losing their urban thrill, their relevance to local people, their idiosyncrasies and their appeal. Modern cities and districts are facing the same paradox and in wealthy cities the processes are vastly accelerated. London has become united in its aim to homogenise. Planners have learned about the basic concepts of urbanism. And without any deep understanding of the complexities and conflicts involved in the loose guidelines of urban design, have interpreted them to mean ‘control everything’ and ‘work towards gentrification’. Principles of urbanism are applied clumsily and the result is increasingly the application of a very generic, safe and global vision of urban. New districts are taking shape across the city which have all the beauty of a computer visualisation, and the thrill of a shopping mall. These new mixed use districts are populated by photoshop characters – the slim woman with the shopping bags, the businessmen conversing, the young lovers holding hands. These are certainly not places for anyone who’ll shatter the globalised dream of the safe and pleasant city. These, often private estates ensure that no ‘undesirables’ can enjoy the place – there is nothing here of use or within the budget of the less well-off. There is nowhere for the skateboarder, the Big Issue seller, the illegal busker. There is nothing to see besides safe art and cultural events agreed around a boardroom table. The can of lager is banned from the streets. How democratic and yet not. There is unlikely to be any space for the workshop or for ordinary people to live. In London many new apartments remain vacant – bought off plan by international investors as kept sealed as they accumulate value, like works of art. Or, they are occupied like sealed fortresses safely elevated from anything resembling a real city. It makes you wonder if many of these new urban inhabitants actually like cities at all. The smart granite paving and the carefully designed benches that prevent sleeping, skateboarding or lingering spread. The architecture designed internationally for the international appears in every aspirational city. The delicate buds of artistic or creative enclaves are designated as such by planners, and repaved, and branded with banners, and moved into by middle-class families, the illegal identifiers of sub-cultures are preserved in law and given fresh licks of paint. Everywhere becomes safe, standardised, beautiful and dull. The cycle continues… cities fall in and out of fashion, they boom they bust. They are made and remade. Districts fall into disrepair and occupied by artists who are forced out by the fashionable. London rises, London falls. Old cities are demolished, missed and later rebuilt. Places are completed and they feel incomplete; cities are perfected and become imperfect; they are made beautiful and feel ugly.